Another Nonprofit Technology Conference has come and gone, and WOW did the week FLY by!!! This year’s conference was in Portland, OR – one of my new favorite cities! Unfortunately I didn’t get to see much in terms of sight-seeing, but I loved what I did experience. At this year’s NTC I really outdid myself, presenting four times – two breakout sessions and two tactical sessions (the same one, presented twice). As usually, the attendees, the volunteers, and the NTEN staff who make it all possible were friendly, enthusiastic, and absolutely wonderful. There is really no other conference community out there as warm and welcoming! On the first day, I did manage to attend two amazing sessions as a participant and observer, as well as have a complete blast with friends old and new. On the first day of the conference, I helped facilitate an interactive session with three of the most talented nonprofit rock stars around: Beth Kanter, Marco Kuntze and Josh Hirsch. The focus was to get people thinking as a group about concrete strategies that they could employ to move their organizations higher up on the Digital Maturity Matrix. The session was a typical Beth Kanter special, highly energetic and participatory (no PowerPoint here!) with different colored post-its, sharpies, and group exercises. For the collaborative notes and the session evaluation, click here. On Thursday, I got together with the brilliant and charismatic Daphne Lagios, Courses Specialist at TechSoup and Maureen Wallbeoff, Nonprofit Digital Strategist and Technology Coach. Our session focused on specific ways to design an online learning experience for your program or service, how to choose the best LMS (Learning Management System), how to design and create the content of the course, and how to become a stellar trainer. The participants were tasked with writing down the titles and one sentence description of their future online course or experience, and they did a fantastic job! Something new this year at the NTC was the introduction of short and sweet 30-minute tactical sessions, presented twice, back-to-back. I was pleased to present one of these tactical sessions with my fellow Nonprofit Social Media Nerd Josh Hirsch, Director of Mission and Communication at Susan G. Komen Florida. Josh hand-crafted a completely unique Goonies-theme slide deck for our presentation! 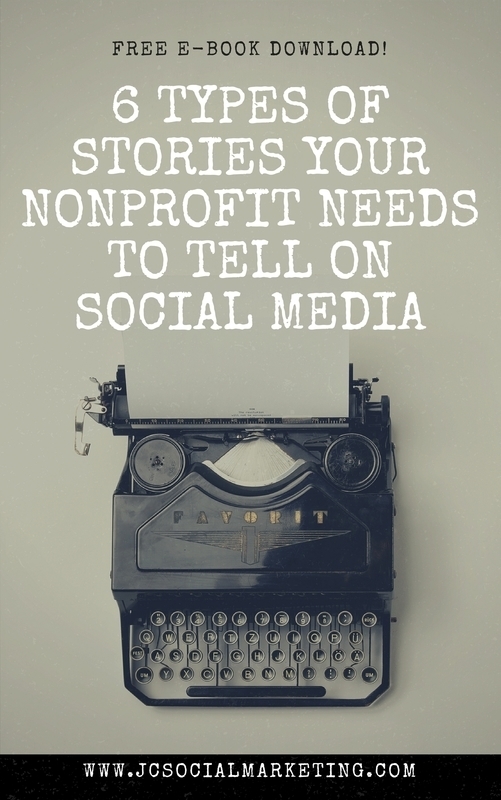 We also used Slido to crowd source questions, not all of which we could get to – we plan to address the overflow questions an upcoming Nonprofit Social Media Nerds Facebook Live special. **I attended a packed, standing room only session with Beth Brodovsky of the Driving Participation podcast, called Making, Managing, and Marketing a Podcast. The session was incredibly informative and very helpful as I plan my next adventure! Follow the hashtag #19NTCPodcast to see all the tweets and takeaways! **The only other session I was able to attend as a participant and not a presenter was Using Online Communities to Unlock The Full Value Of Partner Networks. This session was useful because it featured case studies and best practices in online community building from Lutheran Immigration and Refugee Service and Stellenbosch University. Follow the hashtag #19NTCpartners to see all the tweets and takeaways! **Tim Sarrantonio, Director of Strategic Partnerships at Neon One, coordinated a fabulous, small group dinner at Modern Times Brewing. Great conversation, delicious craft beer and vegan food was enjoyed by all, and we had a focused conversation (no phones!) around the provocative and important question: Are humans necessary for fundraising? Did you attend #19NTC? What were your thoughts and impressions of the conference? Leave them in the comments! Such kind of events really unite people! Good job!